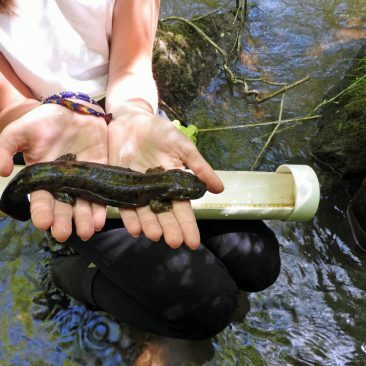 The North Carolina Zoological Park (NC Zoo) is partnering with the North Carolina Wildlife Resources Commission, the United States Fish & Wildlife Service, Appalachian State University and many institutions to study the conservation ecology and genetics of hellbenders in the Appalachian Mountains. 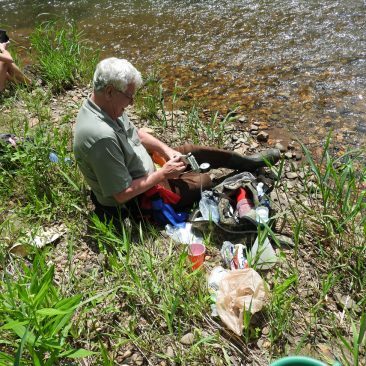 Supported by the North Carolina Zoological Society, retired Curator of Reptiles John Groves—sometimes accompanied by zookeepers from the Zoo’s Streamside and Desert exhibits—has been making regular trips to western North Carolina to assist with this hellbender conservation project. The hellbender [Cryptobranchus alleganiensis] is native to the Eastern United States. It is one of only three species of cryptobranchids, or giant salamanders, in the world (the other two are found in China and Japan). Hellbenders are found in mountain streams with clean, cold water; they prefer rocky riverbeds where they shelter under large rocks. Hellbenders can grow to be up to 27 inches long. They rarely leave the water. Unfortunately, due to severe population declines over much of their range, hellbenders are Federally listed as a “species of concern” and may be a candidate for listing as an endangered species. 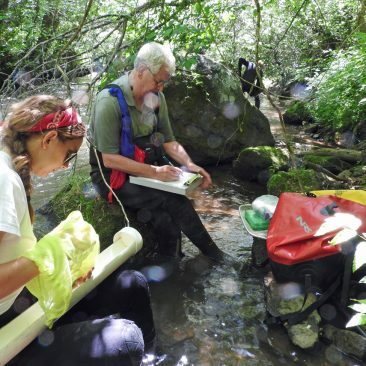 Little natural history information exists for these unique animals to aid in their conservation. Human impacts like acid mine drainage, dam construction, siltation from farms, forestry, and housing development have all contributed to their decline. 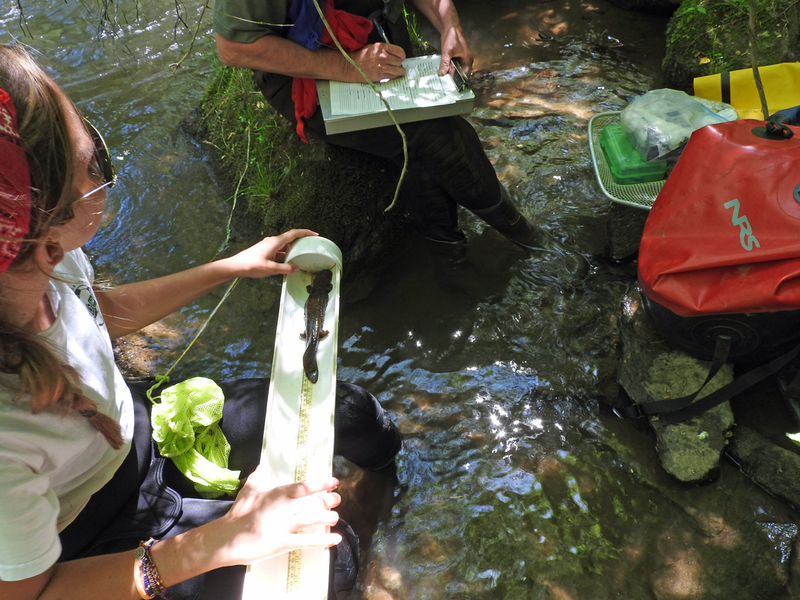 Even in rivers with hellbender populations, few have consistent recruitment of larvae. 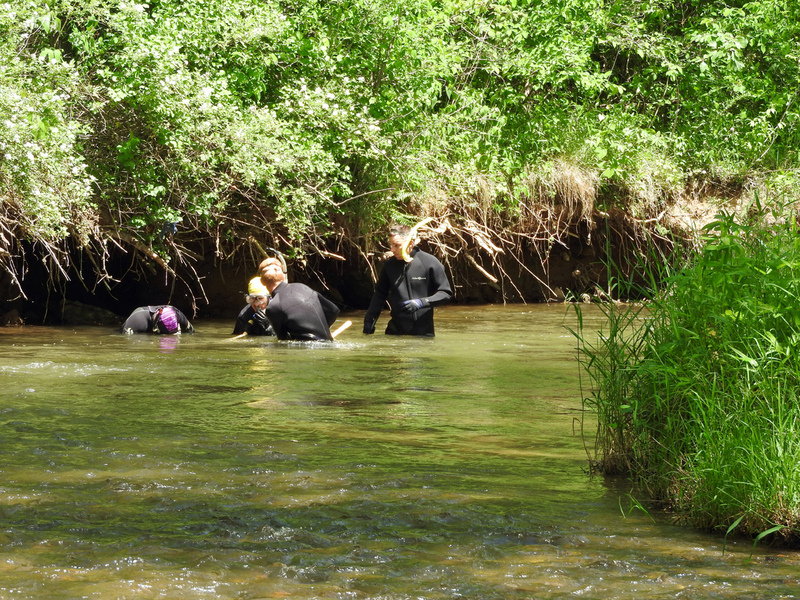 Currently, surveys are conducted using snorkeling and scuba gear. 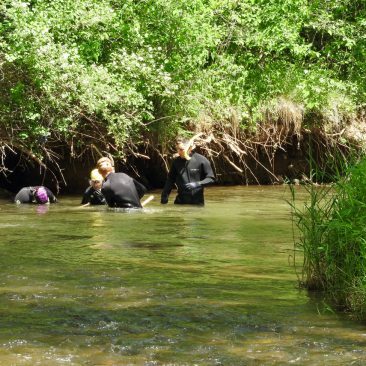 Divers search sections of the river and turn over rocks to reveal hellbenders hiding underneath. 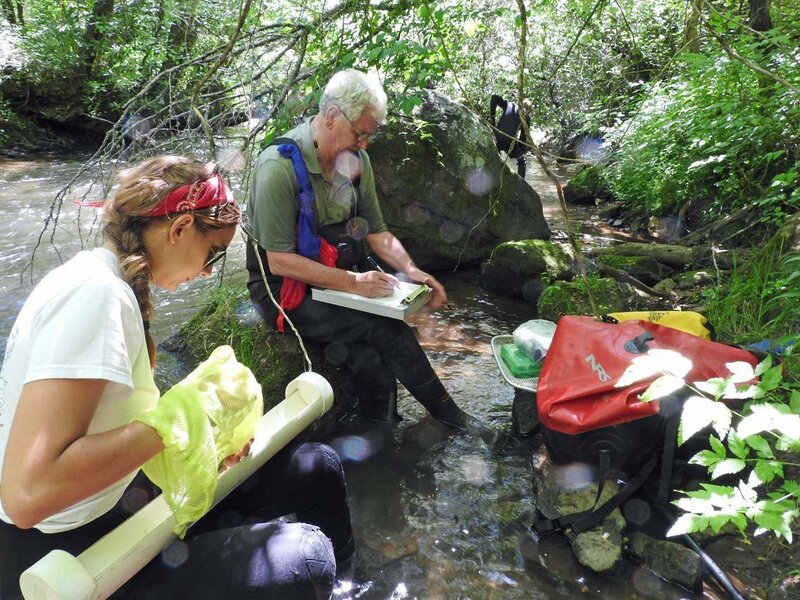 Each animal’s location, body measurements and injuries are recorded; then each hellbender is permanently marked with a Passive Integrated Transponder (PIT) tag, which is injected in the tail of the hellbender. 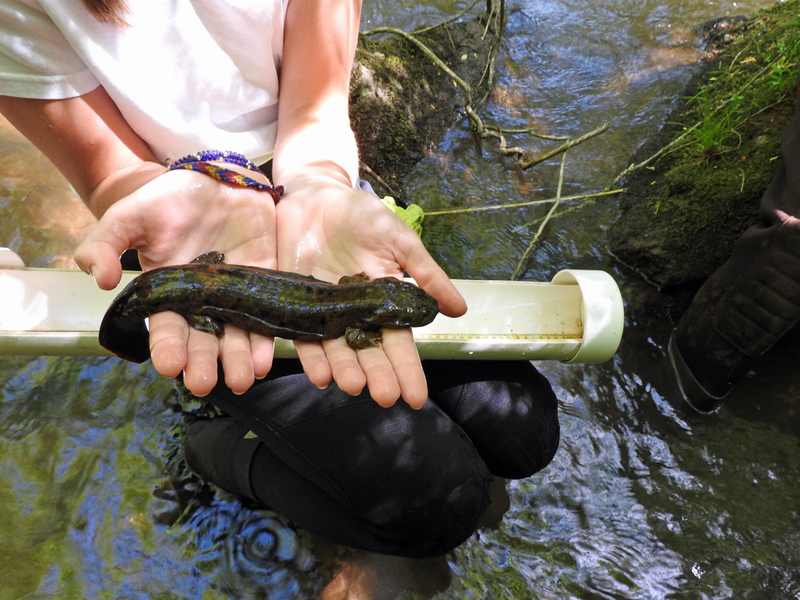 The NC Zoo Society has also supported the work necessary for hellbender Environmental DNA (eDNA) testing to become a reality. The eDNA approach is based on the fact that all animals that live in water shed DNA through feces, urine and skin cells. 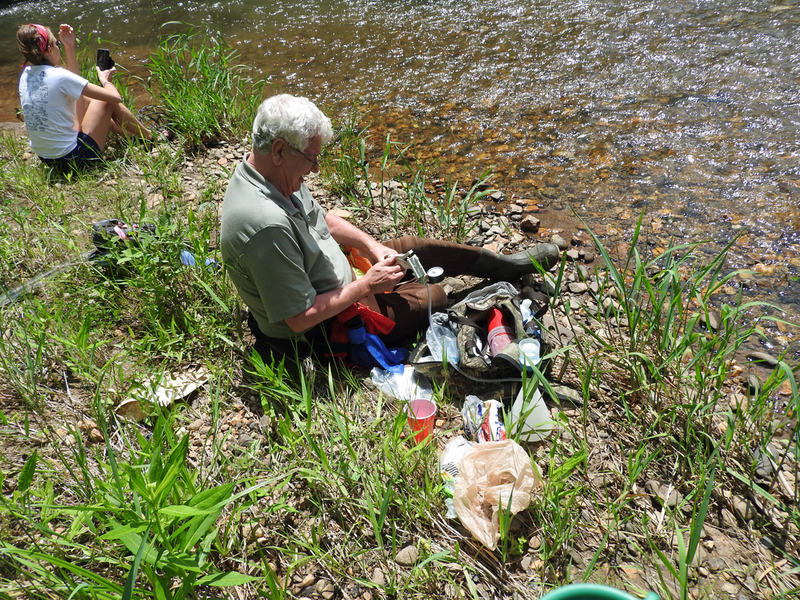 As the DNA from those materials dissolves in the water, it becomes diluted and spreads over a large area. Analyzing water samples for eDNA gives researchers a better chance of detecting a rare aquatic species than does traditional surveying techniques. It is also much faster, requires less effort and is therefore much less costly to confirm the presence or absence of a species. 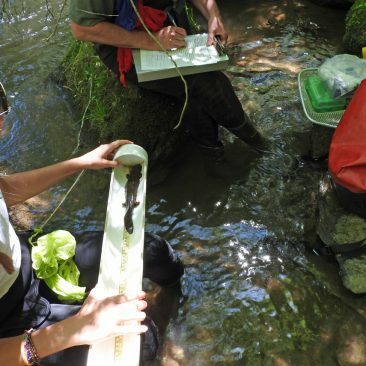 eDNA testing for hellbenders will enable further refinement of range data and will help researchers know where to focus their hands-on search efforts. 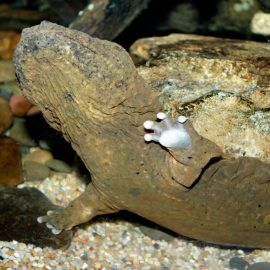 Among the forty-two species of salamanders found in the woods, streams and rivers of North Carolina, the hellbender may be the strangest. Some people say the hellbender is the most grotesque-looking salamander in North America.